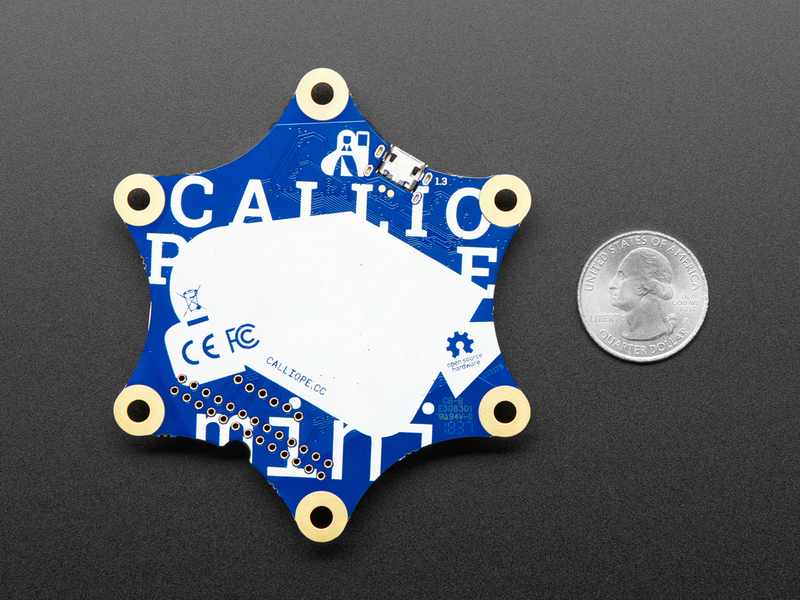 Willkommen, Calliope Mini! 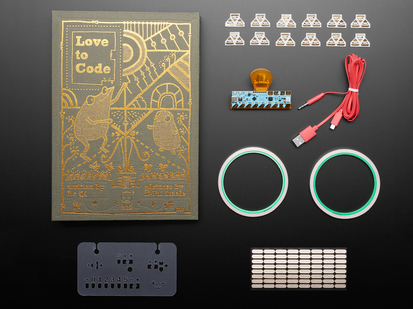 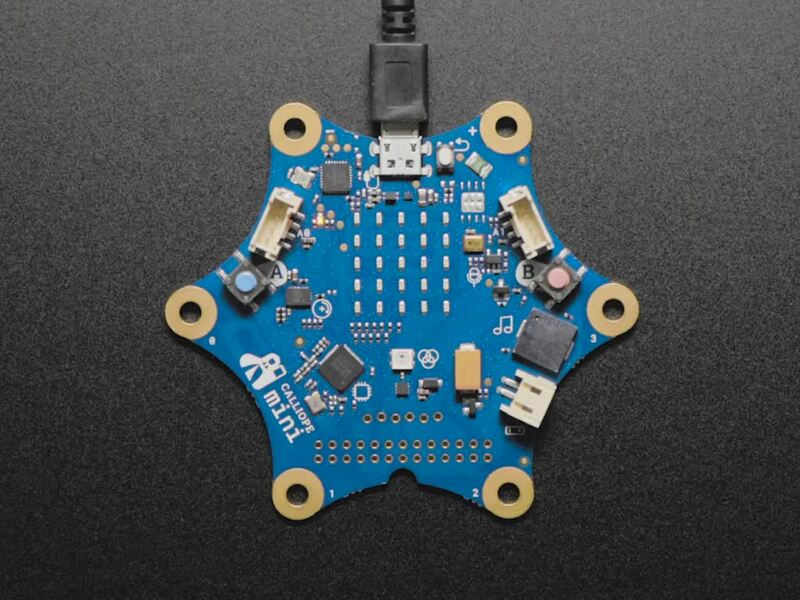 Developed in Germany for students in primary school and up, this heavenly star-shaped development board is a souped-up derivative of the micro:bit. 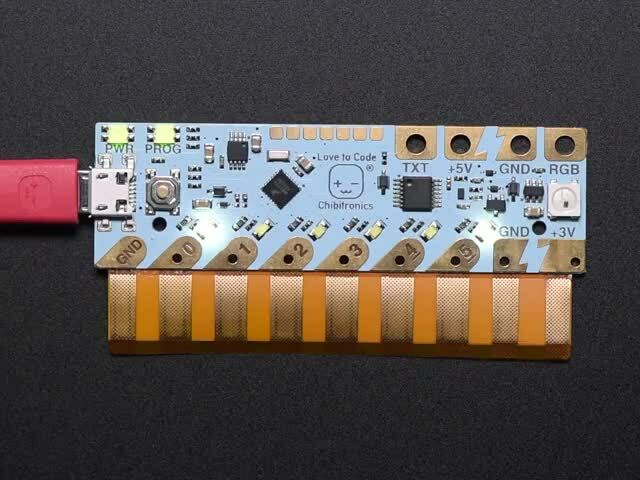 The main chip on the Calliope is the same nRF51822 as the micro:bit so for many purposes, it can be programmed the same way. 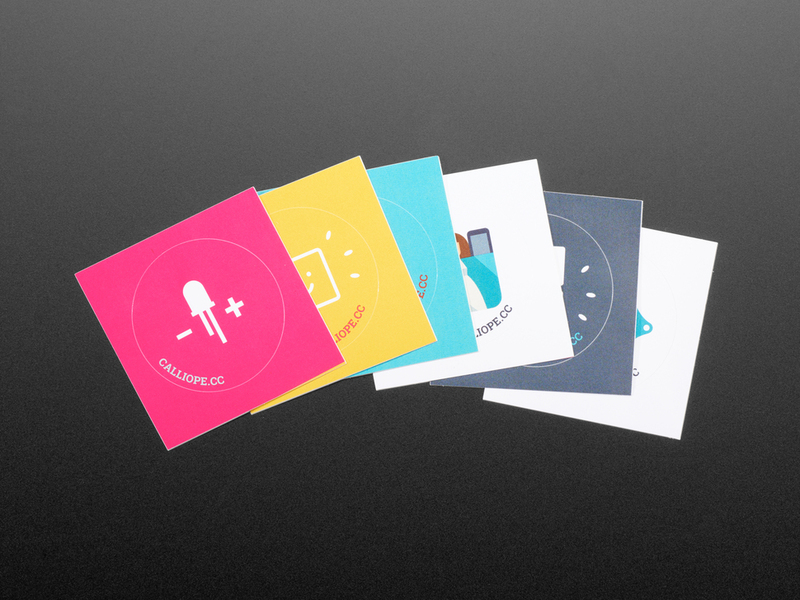 There are some big upgrades though! 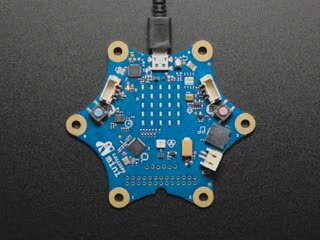 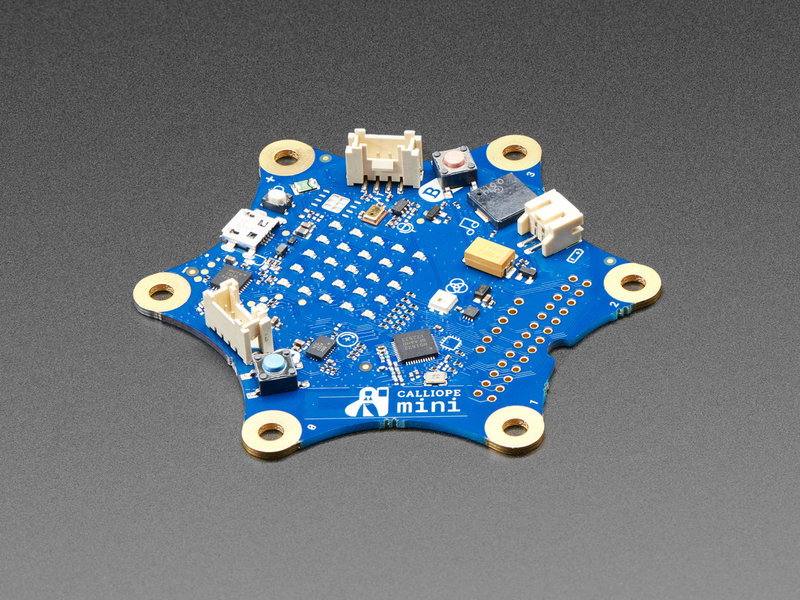 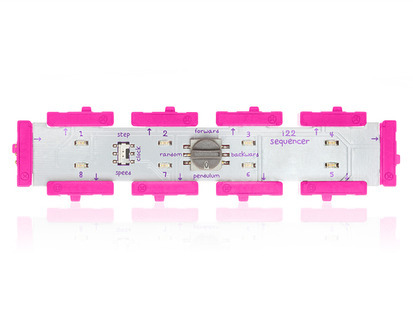 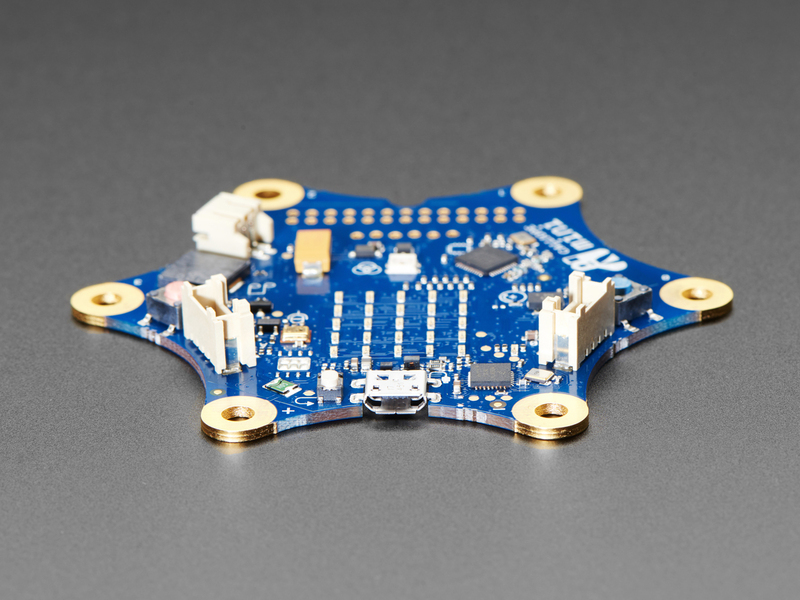 Instead edge-connect pads on the bottom of the board, like micro:bit, Calliope Mini's has a circular star design, with alligator pads on 6 corners for easy connection. 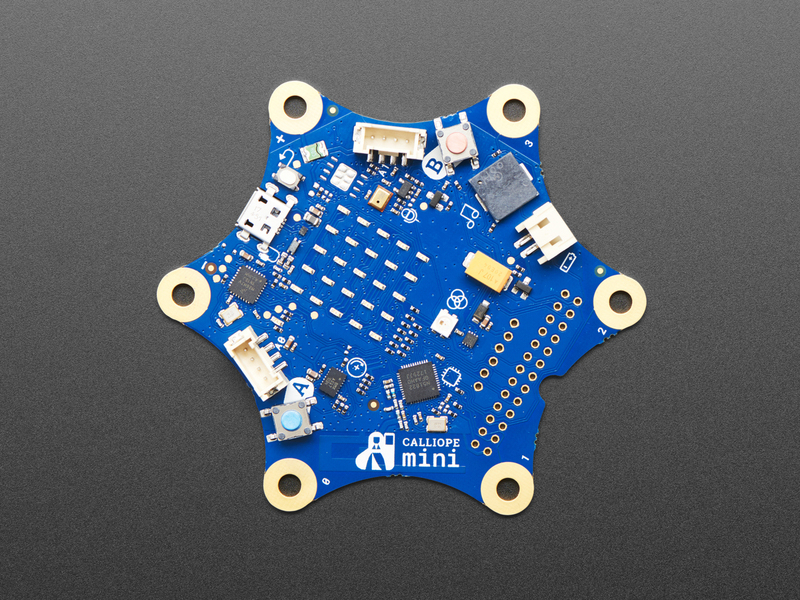 Full 9 degree of freedom IMU with Accelerometer, Gyroscope, Magnetometer (Bosch BMX055) - the micro:bit has only accelerometer and magenetometer, and they are different/separate chips. 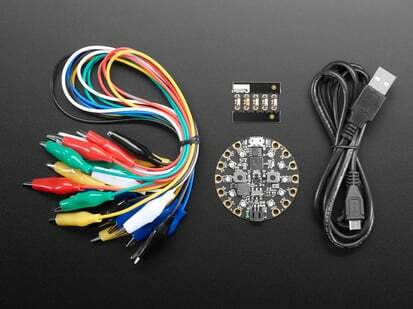 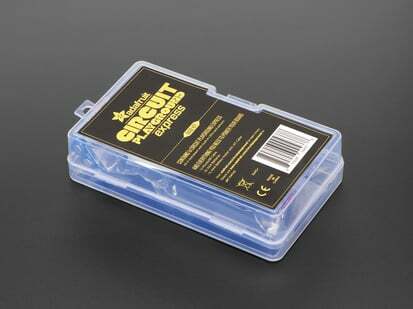 In particular, we think this is a nice upgrade board for when you like micro:bit but want a ton more stuff built in. 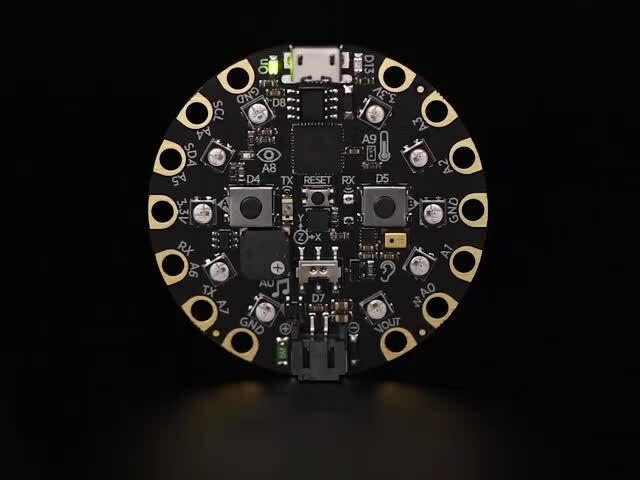 The Calliope Mini can be programmed through Microsoft MakeCode just like the 'bit, including radio communications and displaying on the 25 LED matrix! 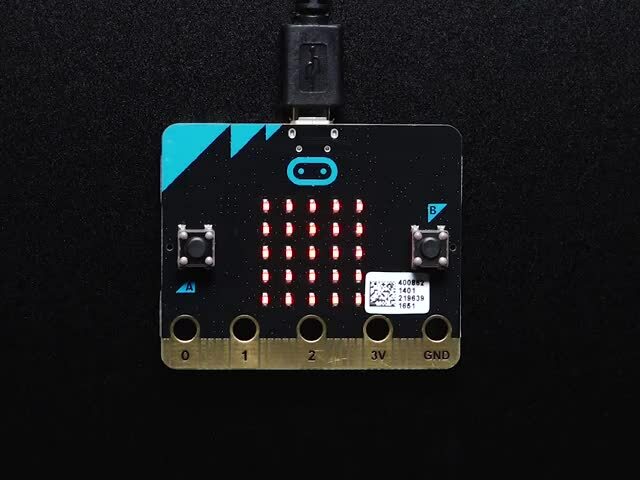 It can also run micropython code on the micro:bit - we would recommend using the default micro:bit micropython build and then using the accessories on-board as if they were wired to a 'bit on a breadboard or with alligator clips. 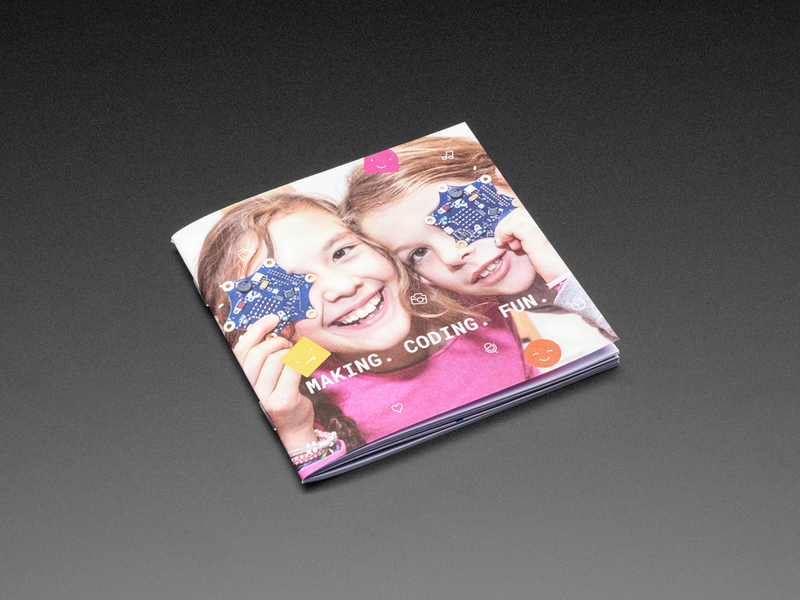 Check out their website for a plethora of classroom-friendly projects and experiments. 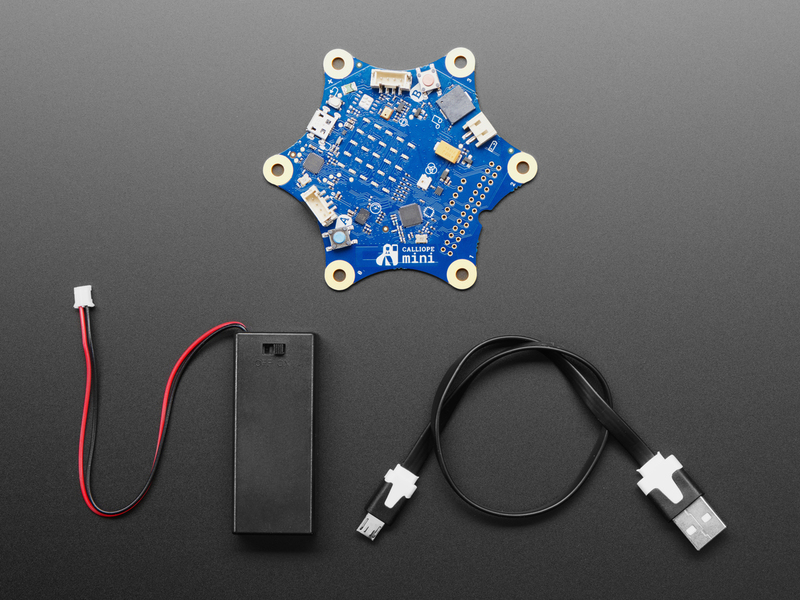 In just a few clicks, you can transform Calliope Mini into a small robot friend, play musical compositions, send messages, and more. 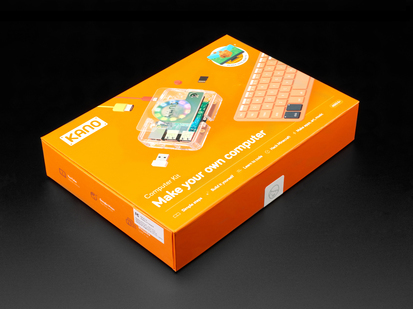 Alles Gute!